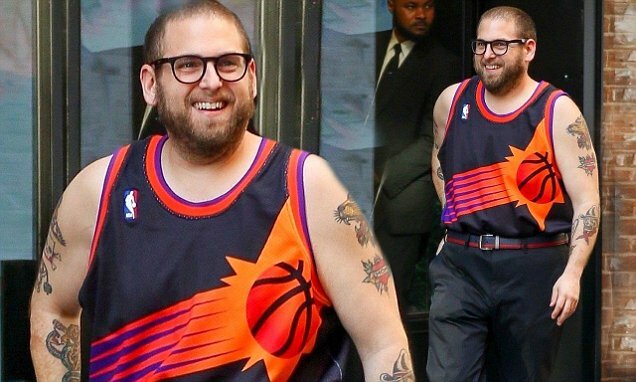 Late last year, Jonah Hill, the king of offbeat street style, ignited the internet by taking a stroll with a Phoenix Suns jersey tucked into his dress pants. An unconventional ensemble, perhaps, but when incorporating sportswear into your off-duty wardrobe, a sense of playfulness is key. Here are four NBA-influenced pieces that embrace team spirit and runway finesse in equal measure. Paris atelier Maison Kitsuné’s acid-wash black-denim jacket is the standout of a recent capsule collection. L.A. brand The Elder Statesman offers ultra-luxe cashmere scarves, sweaters, and even jerseys knitted with the names of top teams. Just Don pairs handsome typography with a luxurious python-skin brim to deliver the most baller of ball caps. Supreme’s NBA/Nike collab alreadysold out, but these crazy shorts are still worth the high markups they’re seeing on eBay.